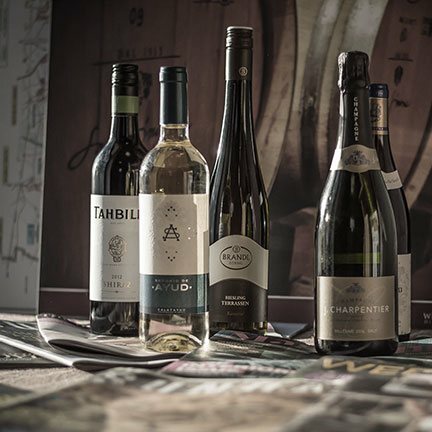 In this year’s Wines Direct Christmas Brochure, top chefs and influencers in the Irish food scene shared their much-loved Christmas dishes, paired with some of our favourite festive wines. This week we reveal their cherished and delectable recipes. Whether you are the head chef or kitchen porter at home, we hope you find ideas and inspiration for your own Christmas feast. Alas, the dessert course. Some of us with a “fondness” for sweets may argue, we saved the best dish for last. Imen McDonnell is a cook, author, and photographer who contributes to Condé Nast Traveler (USA), Town & Country Magazine (UK) and is the writer and photographer behind the popular food blog, Farmette.ie. Before moving to her husband’s family farm in rural Ireland, she worked as a broadcast producer for global food and beauty brands, and as part of the production team for an Emmy award-winning television series while living in New York, Minneapolis, and Los Angeles. Imen’s recipes and images have been featured in The New York Times, The Irish Times, The Sunday Times (UK) The Los Angeles Times, Town & Country Magazine, Saveur Magazine and more. 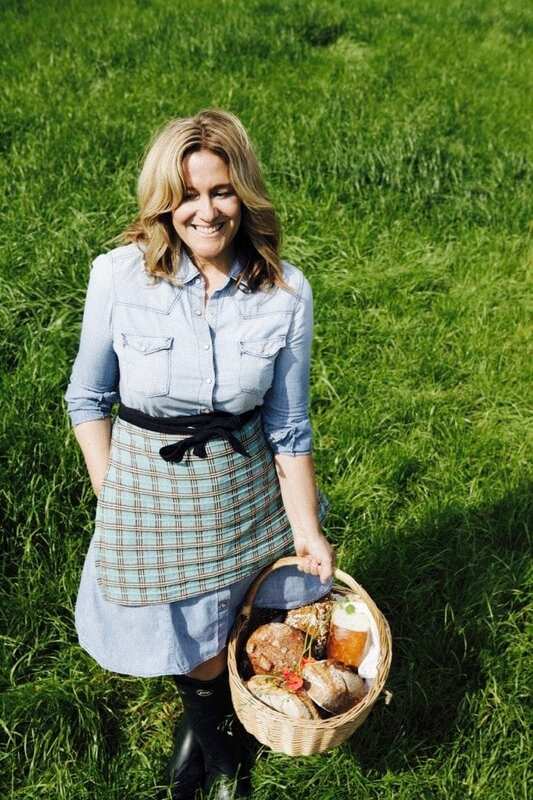 Her first book, The Farmette Cookbook, Recipes and Adventures from my Life on an Irish Farm is a compilation of tried-and-true recipes with an emphasis on local, fresh ingredients and traditional Irish kitchen skills, which for Imen have healed homesickness and forged new friendships. 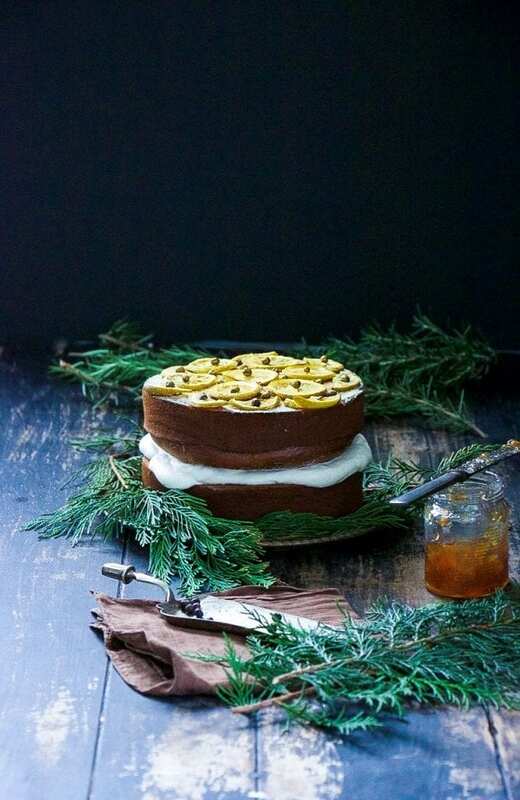 Imen’s Gingerbread Layer Cake embodies the idea of a Christmas feast. We think there is no better match than to pair this work of art with celebratory bubbles. The robust yet seductive bubbles and buttery richness of Charpentier Brut Prestige accentuates the gingerbread’s spongy texture. The delicious citrus flavours marry perfectly with the punch of marmalade. Tahbilk Cane Cut Marsanne is an extraordinary Rhône varietal from Australia with an unusual and unexpected sweet spice of greengage-layered white matching to a tee the gingerbread’s zingy layers. The acidity of both wines’ cuts through the richness of the cream enhancing each herbaceous and velvety bite. To be done a day ahead: Place juniper berries into a container, add heavy cream. Cover and place back into fridge until the next day. Strain cream and then whip cream until firm. Preheat the oven 180°C/350°F/Gas Mark 4 and grease and line 2 x 20 cm round cake tins with grease proof paper. Gently heat the butter, brown sugar, golden syrup, treacle and grated ginger in a saucepan on a low heat stirring often. Measure and combine the dry ingredients in a large mixing bowl. Sift the flour, baking soda, cinnamon, allspice, ground ginger, allspice, cardamom and pinch of salt and stir until well combined. Leave to one side. Separate the mixture into even portions in the 2 x 20 cm cake tins and bake in oven for 45-50 minutes until baked through and a knife comes out clean . Turn out onto a wire rack and leave to cool. To assemble your cake, spoon a little of the marmalade onto your cake plate and pop on the base layer, the marmalade will help to hold the cake in place like icing would. Cover the base layer in a heavy spread of the marmalade using a palette knife or spatula. Next, dollop the juniper-infused cream onto top of the marmalade. Add second ginger cake layer. For the top of the cake, top with sugar-glazed clementine, lime, or lemon slices. Decorate by studding with juniper berries and shimmer with gold spray. Best served on the same day, or store in the refrigerator covered in plastic wrap. It should keep under a cloche or in a covered cake container for up to 3 days.